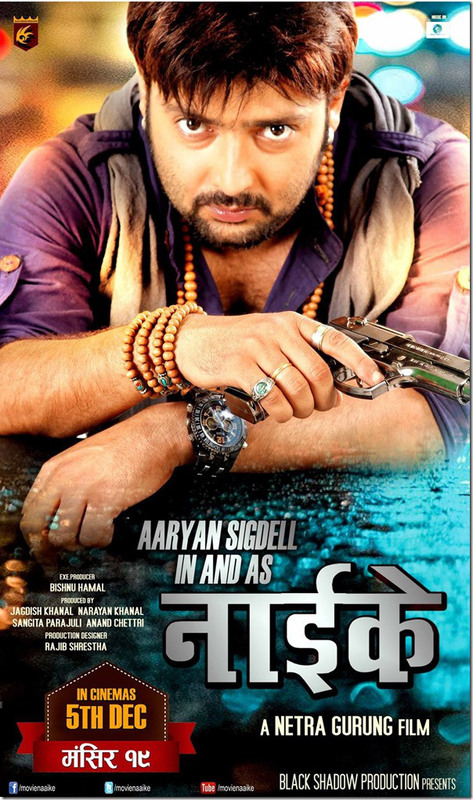 Naike is the Nepali movie starring Aaryan Sigdel. This is the Action genre movie based on the story of a Gangster (played by Aaryan Sigdel). Though Aaryan Sigdel was known for this lover boy image on most of his movie but he played different character (as a gangster) in this movie. The movie was expected to do good but it didn't appeal good to the audience as expected. The movie was released on 5th December 2014. Most of the movie scene was shot on Pokhara area, well know for its natural beauty.